Running numbers: 5400 - 5424, 6400 - 6439, 7400 - 7449. 1950 (7440 - 7449) to lot number 380. 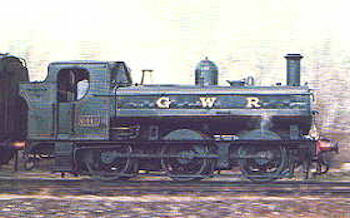 A prototype for the '5400' class was built from number 2080 of the '2021' class. This engine looked similar to the '5700' class of light goods and shunters, except that they used 5 feet 2 inch driving wheels and the Standard number 11 boiler but more importantly, it was fitted with auto-gear for working pull and push trains. 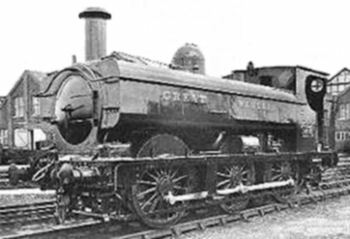 When production of the class started the following year, the prototype was renumbered 5400, however, this engine was withdrawn in June 1932 and a replacement 5400 was built the same month. The production batches differed from the prototype in the cab design where the cab backplate was blended into the cab sides and a slight reduction in the tank size to 1,100 gallons. Although the 25 engines built in the '5400' class were deemed successful, it was felt that smaller driving wheels would assist in working the hilly South Wales valleys and therefore a new class was introduced with 4 feet 7½ inch drivers. After experimenting with number 2062, again of the '2021' class, the class of what would become forty locomotives of the '6400' class was produced for auto-working. The final phase of the group was the '7400' class and although similar to the '6400's by the use of 4 feet 7½ inch wheels, this class had a boiler pressure of 180 pounds and was not fitted with auto-gear. Several of these engines worked the Welsh valleys on light goods and stopping passenger services. Most of the '5400' class had been withdrawn by 1960 due to the introduction of the diesel railcar, although two examples survived until October 1963. The '6400' fared a little better as only half had been scrapped by 1960, the last engines were withdrawn in 1964. The '7400' class managed to live through the early 1960's until the last were withdrawn in 1965. From a total size of the three classes of 115, only three examples were saved and all from the 6400 series. They are numbers 6412, 6430 and 6435.